Happy Thanksgiving everyone. I stepped away from the family madness to share a few Thanksgiving cocktails featuring one of the newest brands to come across my desk, Caliche Rum. If you’re a fan of Puerto Rican rum you’ll love this stuff. I usually make my world-famous big batch of Coquito with Don Q but this time swapped it for Caliche (also made by the makers of Don Q) and it’s pretty amazing. It’s got great flavor and might be my new favorite rum. We’ll be sharing our review of Caliche in the next few weeks so be sure to look out for it, but in the meanwhile here are some tasty recipes to try this holiday. 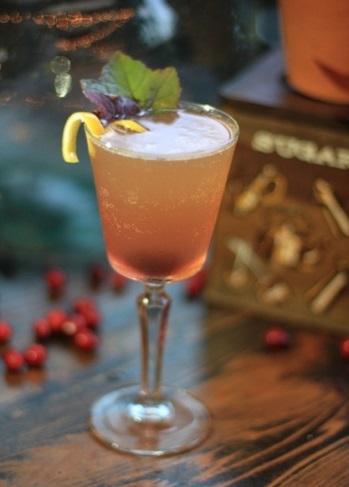 Pilgrimage – Created by Mixologist Eddie Fuentes from Finka Table & Tap in Miami. 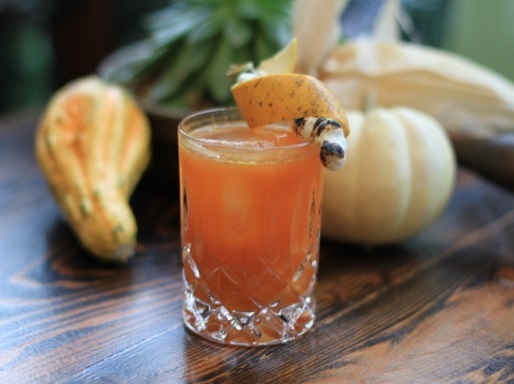 Harvest – Created by Mixologist Eddie Fuentes from Finka Table & Tap in Miami. 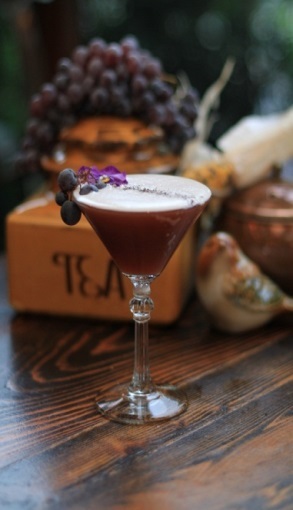 Cranberry in London – Created by Mixologist Eddie Fuentes from Finka Table & Tap in Miami.